Need some tips on how to stay healthy while traveling? 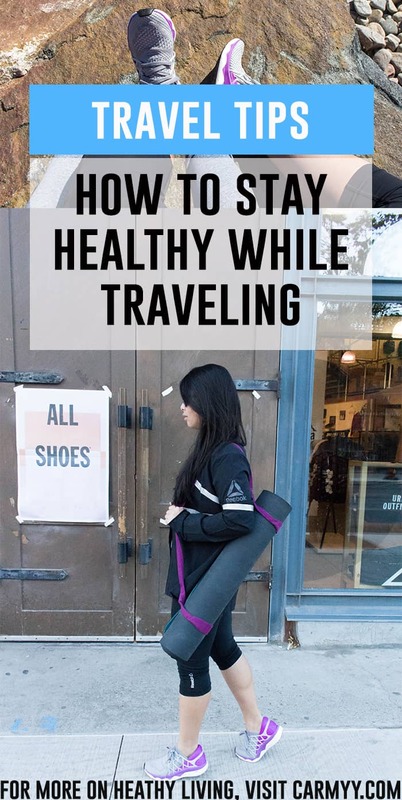 Today I break down simple ways to stay healthy while traveling! Okay – when traveling, it is so easy to indulge and forget about staying healthy. Trust me, I’ve been there (you’ve seen how much ice cream I consume right?) and I know it’s not easy to say no to that delicious plate of food in front of you. 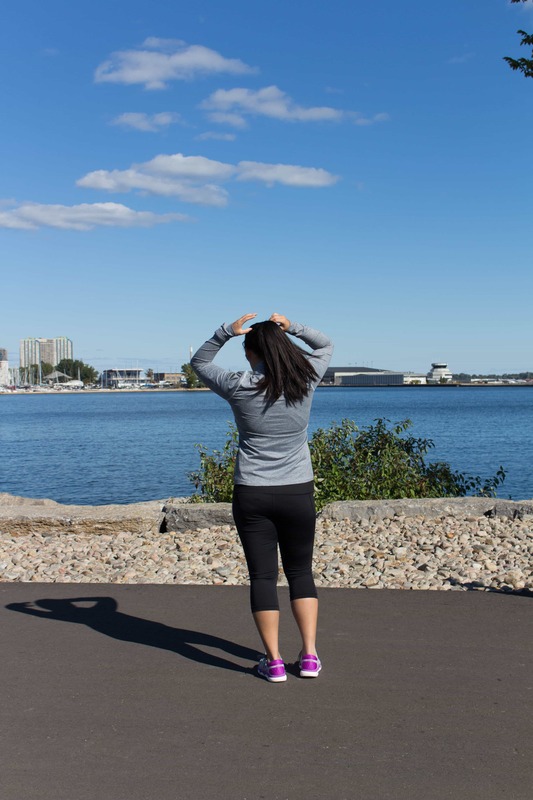 So here are some tips on how to stay healthy while traveling! Do some quick googling. 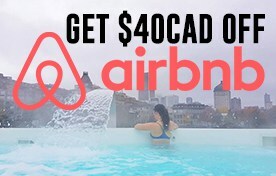 When you’re looking for a place to stay, look for a location that provides you with a mini fridge or an AirBnB with a fridge. This way, you can make sure there’s easy access to healthy snacks and meals. Ideally, I like to stay near places that are near markets or a grocery store. 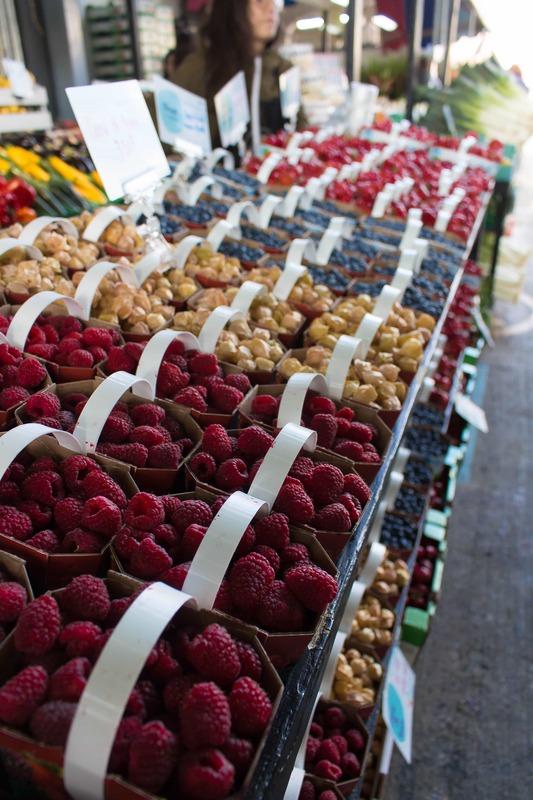 When staying in Montreal, I made sure to find a place close by to one of their famous markets to ensure I can stock my fridge up with healthy foods to snack on while hungry instead of purchasing a hot dog or chocolate bar while exploring the city I’m in. Also, I try to pack a lot of workout gear with me while traveling. I find that I’m more likely to workout if I’ve got clothes on hand! If you lay out your clothes the night before, that just must give you the little push you need to head out for a morning sweat session. If you’re heading to a major city, there’s probably a famous fitness studio that they’re known for so why not make the effort to get your sweat on? 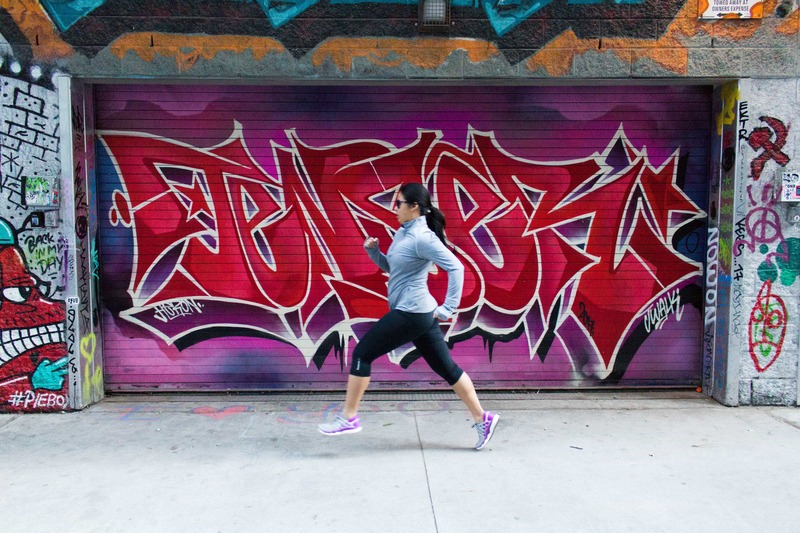 SoulCycle in New York, Barry’s Boot Camp in LA, Flywheel in Chicago, almost any studio in Toronto, etc. 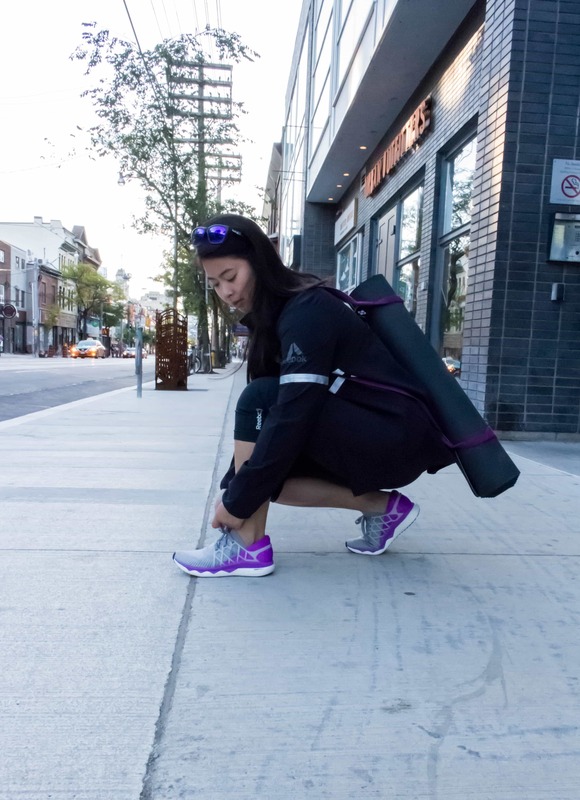 If you don’t want to head to a studio or gym and you’ve got space in your luggage, why not bring your yoga mat with you so you can work out on the go! 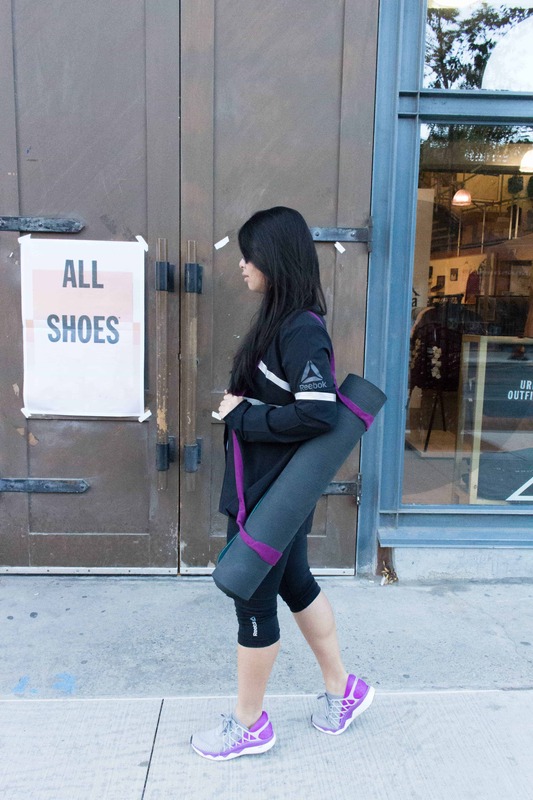 If you don’t have space for a yoga mat (it’s easier to bring a yoga mat on a road trip than on a plane), you can get a yoga towel mat that can be easily tuck into your carry on. Also, one of my favourite ways to explore a new city is actually on foot! There are so many little nooks and crannies or small little shops that you would not find if you weren’t on foot! 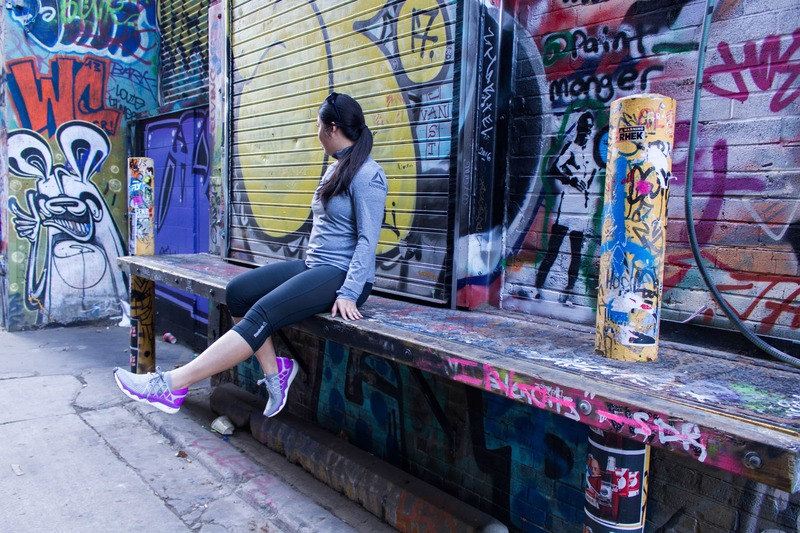 Running is another great way to compliment the walking – before the crowds come out, you can run to some of the super tourist-y spots to check them out and you can take note of other places to explore more fully afterwards on foot as you’re running! 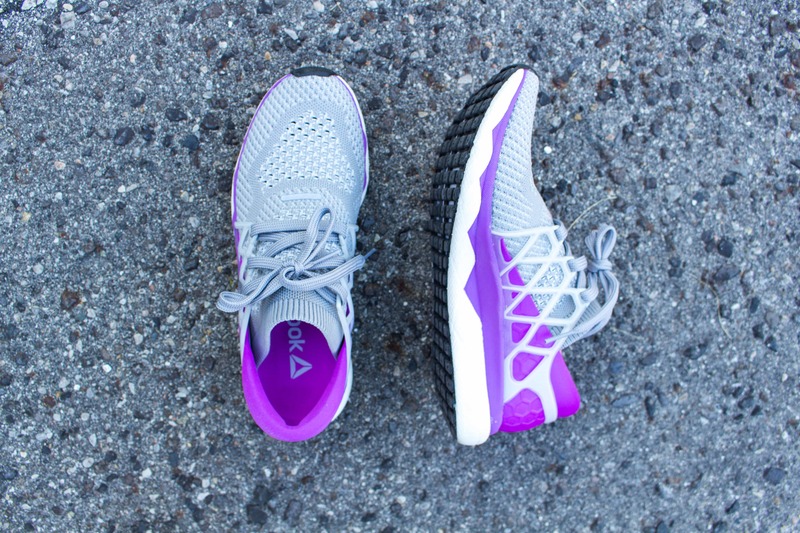 Make sure you have comfy shoes (such as the Floatrides from Reebok that I’m sporting!) though, you wouldn’t want a blister from being on your feet all day! While I love to eat my way through a city, I try to keep some snacks on hand so I won’t be tempted to purchase a ton of snacks while exploring (this also saves you money!). I recommend picking up some nuts and dried berries to leave in your bag in addition to bringing a reusable water bottle with you. Like I mentioned earlier, if you can get a fridge, make use of it! I try to have a healthy breakfast at home base in the mornings so I can indulge a bit more during lunch or dinner! Another easy way to stay healthy while traveling is sub out the typical sides of fries for an extra serving of veggies. Unless you’re in Canada and you’re there for poutine, you don’t need a side of fries with every meal while traveling but that extra helping of veggies can go a long way. But don’t forget – at the end of the day, you’re traveling to have fun! So give yourself a break if you have an extra ice cream cone or two! 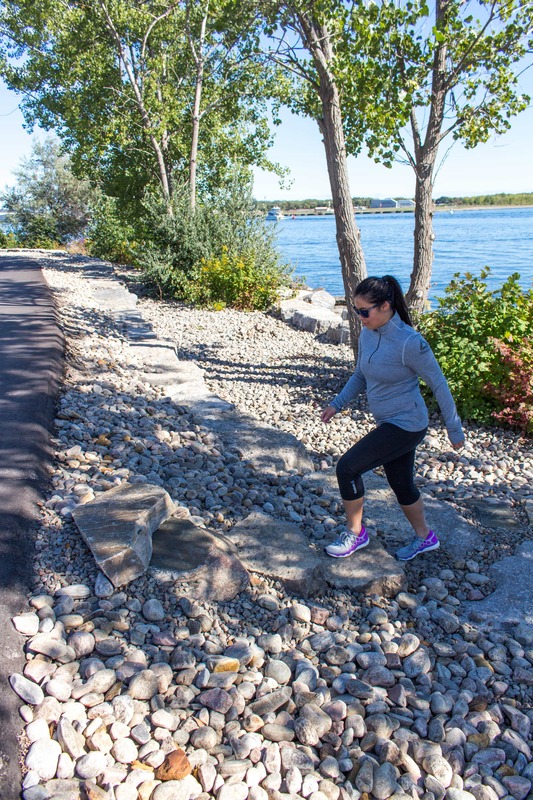 Just remember that life is about balance so as long as you have a way to balance out indulging, such as walking or running to the ice cream shop, you’re good to go! Let’s Chat! What are your tips on staying healthy while traveling? 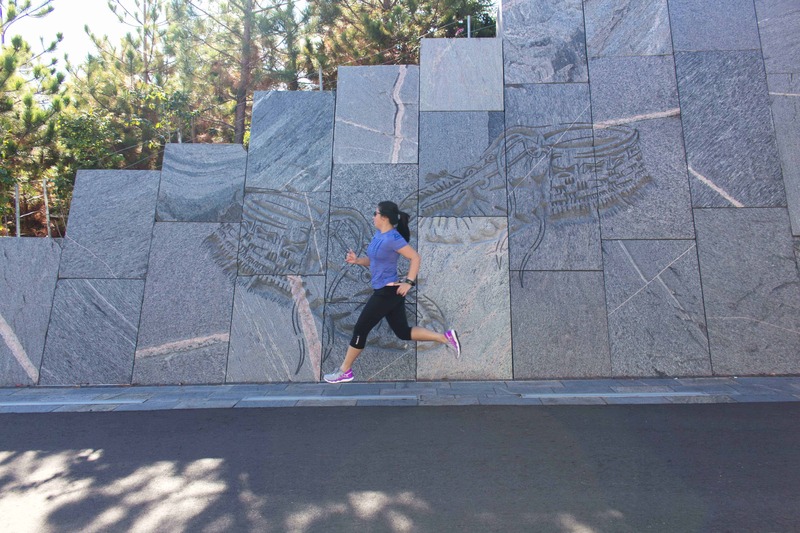 Want to check out some run routes while traveling? 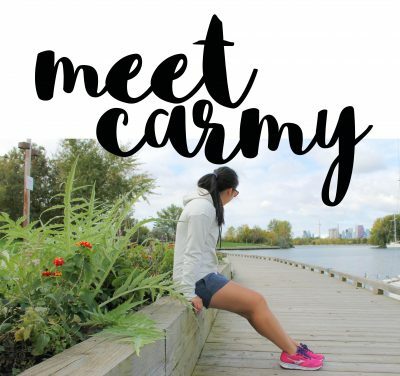 I have a post on Where to Run in Toronto and Where To Run in Montreal! These are such great tips! Those shoes are SO cute btw. Awesome tips girl! I always gotta make sure there’s a hotel gym wherever I stay! I always bring the essentials with me when traveling, which includes my VITAMINS!! I can’t live without those babies! These are such great tips! After traveling for our business a lot the past few years, we pack lots of snacks and see where it’s safe and easy to be able to walk versus drive. I love this. Any tips on staying healthy while traveling in Asia. There are so many carbs there. You can always head to the gym! I also have a ton of friends who did a ton of walking and hiking while traveling in Asia. Staying healthy and fit while travelling is crucial and essential, no matter how challenging it might be! Excellent tips, Carmy!